Quad-Polar modality features a dynamic output cycle which increases the interferential stimulation target field. Bi-Polar modality features twelve selectable modulation frequencies (six constant and six sweep). Russian modality (2,500 Hz) provides four-pad, two-channel Russian stimulation featuring a continuous, exercise or rehab treatment mode. Frequency, time and milliampere digital displays. TENS/EMS Units & Stimulators can be found in our extensive online collection of products from globally recognized and trusted brands, including Amrex. 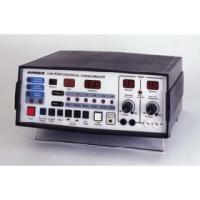 An excellent option to consider is the Z-Stim IF250 Interferential/Russian Stimulator.